Just a quick reminder, but the Tronsmart Power Bundle deal we featured a couple of weeks back is about to end over on the DL Deals Store. 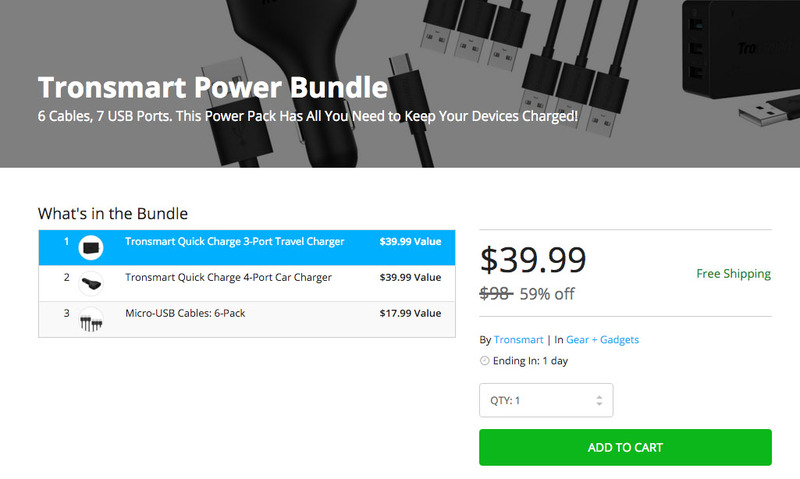 As a reminder, the deal includes a 3-port Quick Charge 2.0 wall charger, 4-port Quick Charge 2.0 car charger, and a 6-pack of USB cables, all for $39.99. The deal ends in a day, so you may want to decide quickly.